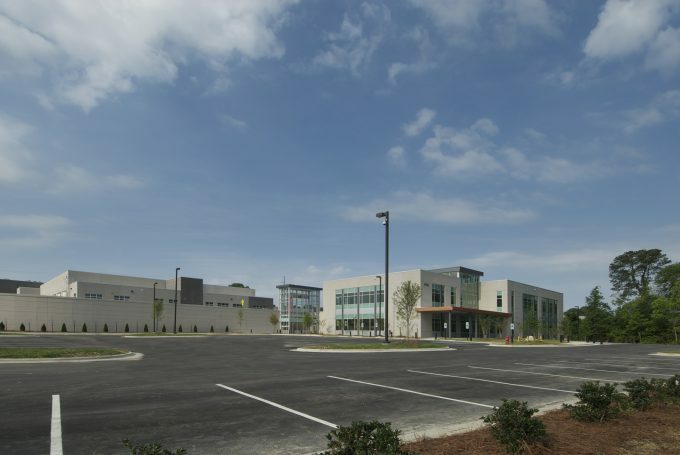 The Carolinas Associated General Contractors (CAGC) has recognized five projects and an individual for the 2013 Pinnacle Awards. The awards “shine a light on our profession in a very public way, and help to promote our organization’s very reason for existence, as expressed in the CAGC’s mission statement: ‘Advancing the construction industry to enhance the quality of life and deliver a sustainable difference in the Carolinas,” the association’s awards announcement says. The awards were announced at the CAGC’s 93rd annual convention in Boca Raton, Florida, in February. They were co-sponsored by CPA firm GreerWalker LLP and the law firm of Johnston, Allison & Hord, both based in Charlotte. 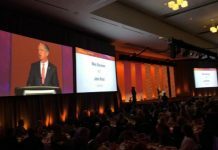 North Carolina Representative Mike Hagar, the House Majority Whip representing Rutherford and Burke Counties, received the Build with the Best award for his contributions to the “betterment of the construction industry and overall carolinas economic welfare,” the CAGC says. 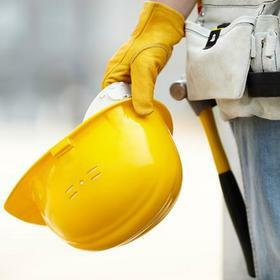 Hagar, a self-employed engineer, took a leadership role on NC General Assembly House Bill 476, the rewrite of the state’s underground safety/damage prevention laws. “The new law, effective October 2014, will move North Carolina from one of the weakest states concerning underground safety and damage prevention to what some say will be the model state program,” says the CAGC award citation. “It will save lives, minimize injuries and protect the public as well as underground facilities. 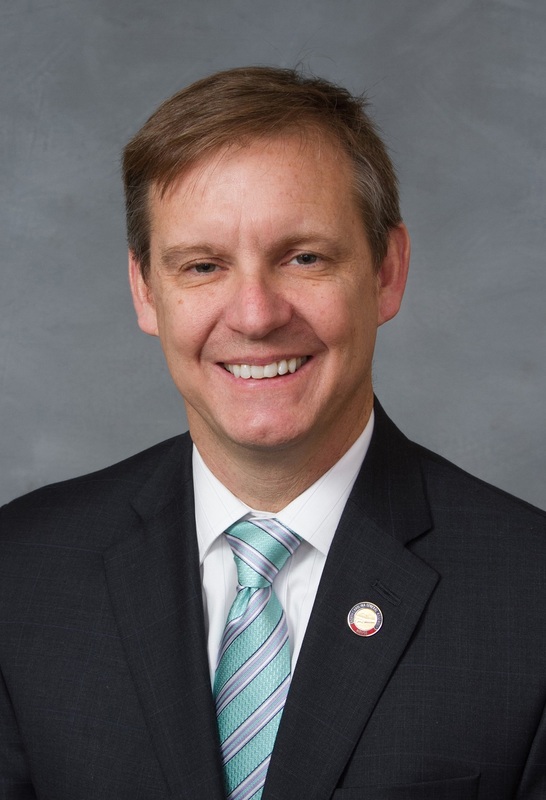 Passage of this complex legislation in North Carolina was a top legislative goal for Carolinas AGC.” The bill passed the NC House and Senate unanimously. 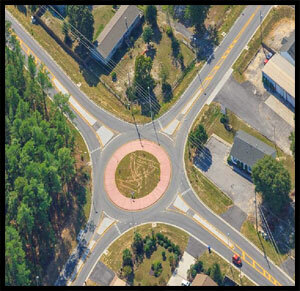 This federal aid design-build intersection safety project involved 13 intersections across Aiken, Clarendon, Lexington, Orangeburg, Richland, and Sumter counties. C.R. 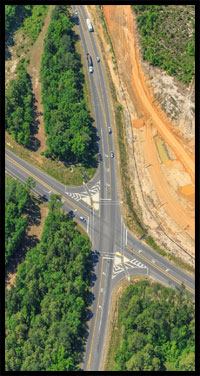 Jackson was responsible for design, permitting, right of way acquisition, utility relocation co-ordination, and construction for the 13 projects, under one contract, in a very condensed timeframe. 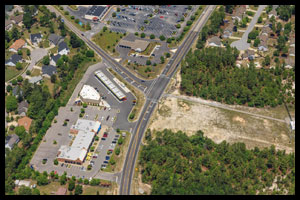 This application of the design-build procurement method for a bundle of safety-related projects was a first by the South Carolina Department of Transportation (SCDOT). Its goals were to ultimately qualify for federal safety funds via data-driven analysis, and validate that design-build is a viable option for projects of this nature in the future. Using current SCDOT statistical value, accidents over a three-year period for these 13 intersections had cost more than $13 million in property damage and injuries plus loss of life. 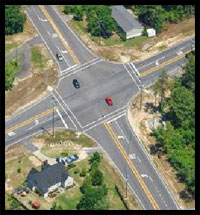 The average anticipated accident reduction for these improved intersections is 45 per cent. Completing these projects in just 18 months rather than the conventional 36 months represented a saving to taxpayers of over $2.9 million – and an estimated $2 million in each future year. 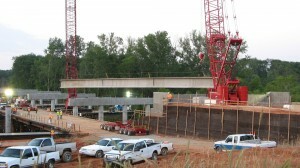 Project management on 13 simultaneous work sites — many with ongoing traffic patterns — on an aggressive schedule presented unique challenges that required significant resourcefulness. creativity in deploying logistically located resources (workers, equipment, three asphalt plants, and subcontractors) across 13 sites separated by 150 miles. Partners in Excellence: STV/Ralph Whitehead, Charlotte, NC; HDR Engineering, Raleigh, NC. 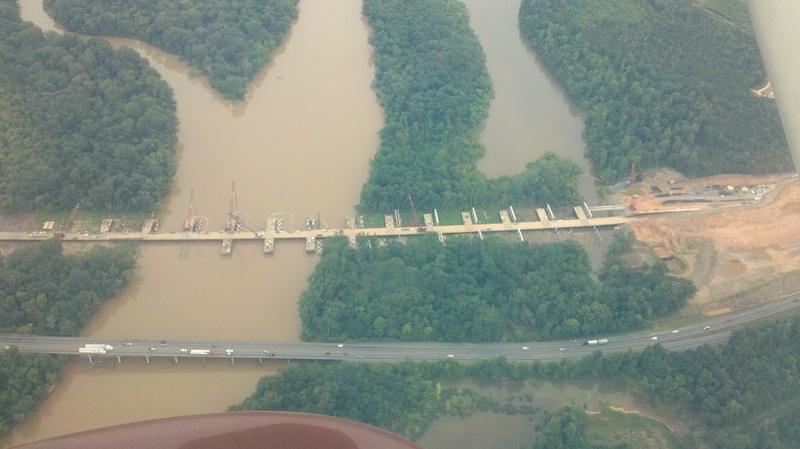 This project replaced a severely deteriorated, 60-year old bridge eight months ahead of schedule and $44 million below the owner’s budget. 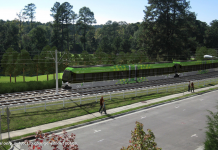 The North Carolina Department of Transport (NCDOT)’s request for proposal (RFP) required great resourcefulness from the design-build team, as the bridge crosses five current and future railroad tracks, carrying 60 trains per day, including freight rail, Amtrak, and a future high speed rail. 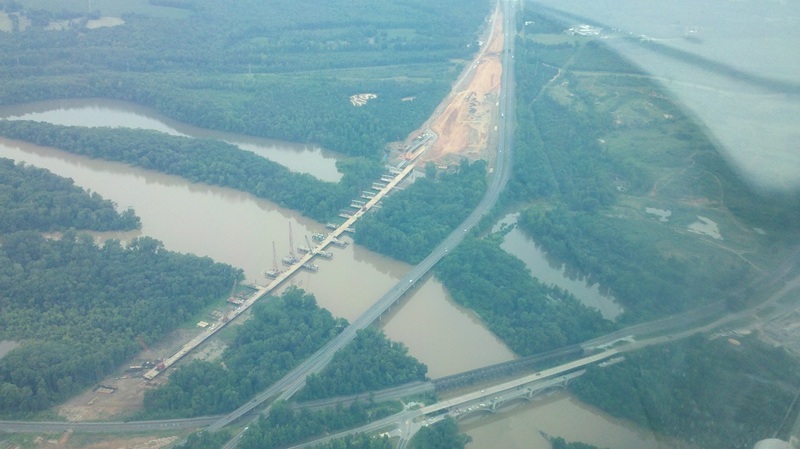 The team’s maintenance of traffic plan was key– accelerating an intermediate milestone to open the northbound mainline bridge and temporarily shift both northbound and southbound traffic onto it. 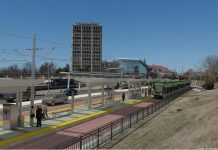 The team also saw that by slightly widening the median from 46 feet to 70 feet, they could construct a single work bridge in the center median instead of the two called for in the RFP. This choice not only accelerated the schedule and reduced the total cost, but also reduced the environmental impacts to the stringently monitored wetlands on the site. The project team worked an impressive three and a half years without any Notice of Violations (NOVs), a huge accomplishment on a project surrounded by environmentally sensitive areas. At its peak, more than 200 people worked 24-hours a day, six to seven days a week. Crews finished the half-mile bridge in roughly 14 months. This was a very high profile project, visited by the media, Governor Bev Perdue, and top state transportation officials multiple times. State officials used federal stimulus money to set aside $180 million to build the bridge, and funding also came from a mobility fund Gov. 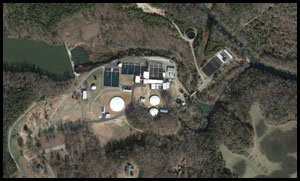 Perdue proposed in 2010. This project’s success helps bolster the notion of what can happen when transportation projects are adequately funded. Spartanburg Water System (SWS) was looking to ensure an adequate water supply for at least two generations, and identified nearly $44 million in technological and electrical improvements. However, their budget was only two-thirds of that figure. They proceeded with an “alternate delivery method” – a first for this owner, letting it as a qualifications-based progressive design-build project. Not only was the project successfully completed safely with no interruption in service and on schedule, it was completed under budget. a new pump station that allows for recycling of decant water, thereby reducing the volume discharged under the NPDES wastewater discharge permit and the amount of raw water required. The project was completed with zero lost workdays and zero restricted days. 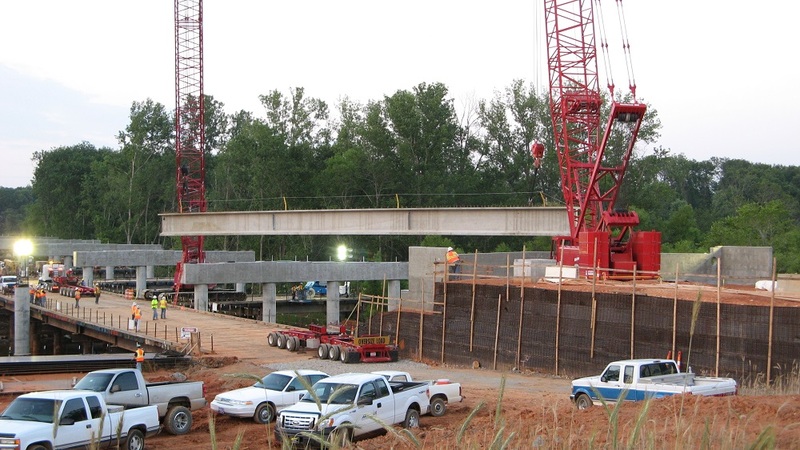 Crowder’s site-specific safety plan resulted in 129,501 man-hours worked and only one recordable accident. Partners In Excellence: Brown Brothers Plumbing and Heating Company, Durham, NC; and Comfort Engineers, Durham, NC. 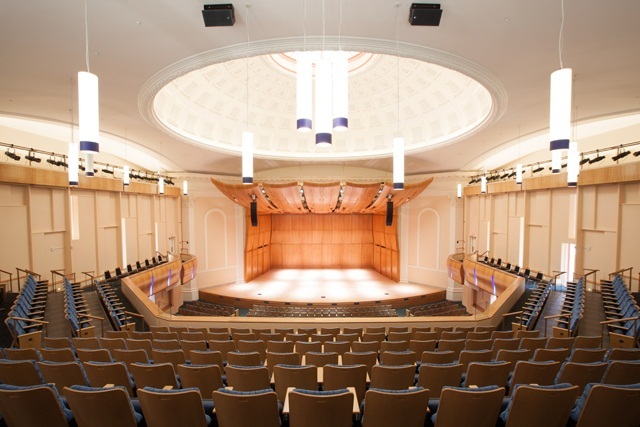 The transformation of Baldwin Auditorium into an acoustically superior world-class musical venue was a LEED-Silver registered project. 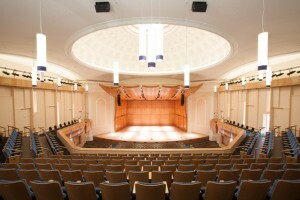 The existing venue had poor acoustics, and the LeChase team virtually remade it – changing the very shape of the interior, redesigning and relocating mechanical equipment configuration, and renovating the unusual coffered dome. Those were complemented by a focus on intricate structural modifications and special finishes, all through an intricate sequenced process. The team added wall and floor mass to create an acoustically superior shoe-box shape. 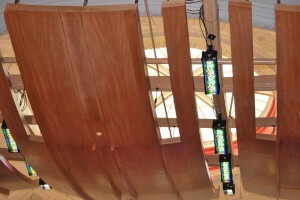 To maximize acoustic efficiency, all walls were angled, curved or shaped to avoid parallel surfaces. While dome shapes are not typically desirable for acoustic excellence, the coffered dome of Baldwin was an aesthetic masterpiece which Duke University wanted to retain. 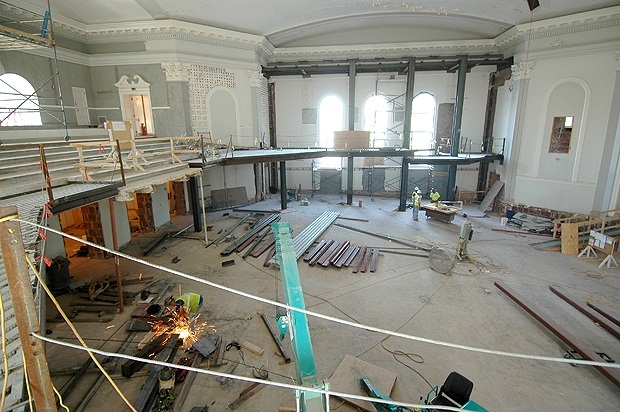 A substantial scaffolding system was engineered to create a “dance floor” high above the finished floor elevation promoting safe access for new plaster finishes, acoustical coffer installations, sprinkler, lighting, carpentry and paint applications. One-half of the dome required reflection of sound while the other half required absorption, but both halves were required to appear identical. A common complaint of Baldwin patrons had been noise and vibrations of the mechanical equipment located directly below the auditorium. The new system allows air to permeate upward through 75,000 minute holes drilled in the stage floor to gently rise and cool/warm onstage performers. 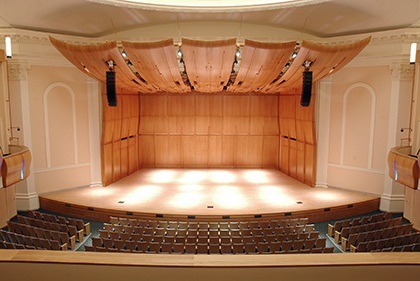 More than 250 swirl-air diffusers in the floor and under the seating area provide low pressure air to the audience. 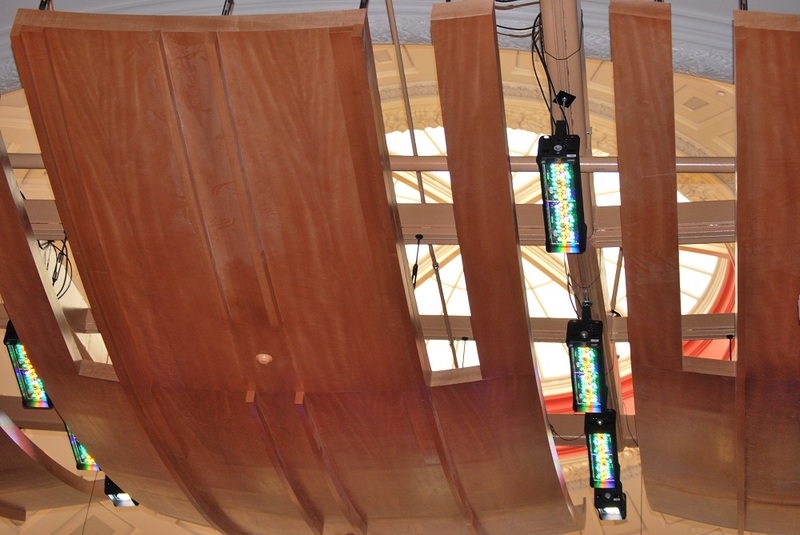 The result was zero vibration and silent delivery of conditioned air to the auditorium. For the balcony extension, steel columns along with horizontal beams and corrugated metal decking were rigged inside, through window and door openings, then into final vertical position via a small, high capacity crane that is one of just a few in the U.S. Numerous installations required detailing beyond the capability of two-dimensional drawings. The millwork scope, in particular, required furniture grade perfection. Balcony railing and the orchestra shell required curved components in three dimensions. Each piece was modelled using Building Information Modelling (BIM) technology and a component was selected for mock construction. 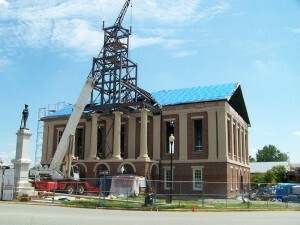 Each mock construction piece was reviewed and retained to the end of the project to ensure the target level of quality. 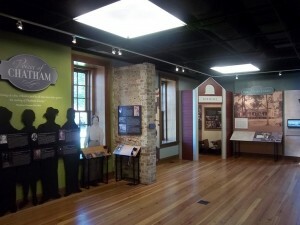 The historic Chatham County Courthouse, known to thousands as Chatham County’s front porch, burned March 25, 2010. Carolinians and history buffs held their breath waiting to hear if it could be salvaged. The entire roof structure and clock tower had burned through to the lower floors, which collapsed. While it was determined that the remaining masonry structure could be salvaged, the skeleton would require “kid glove treatment” in refurbishing damaged exterior brickwork. The top of the walls were drilled and doweled with rebar and the walls capped with new masonry and concrete to extend higher. 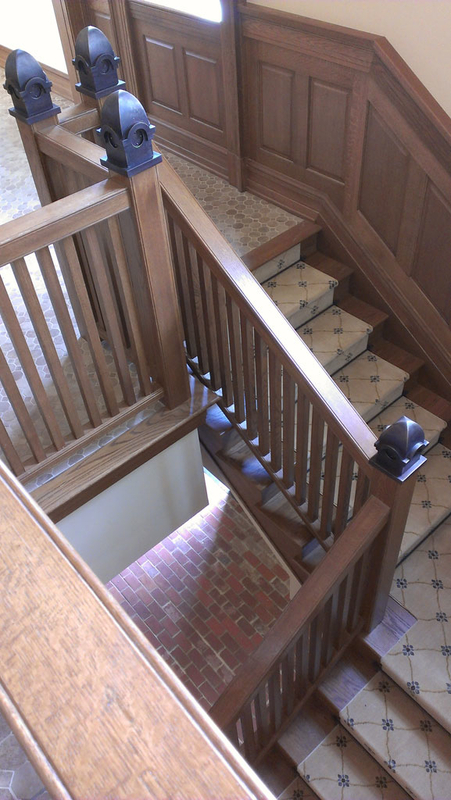 Thus, the new upper floors are partially supported today by the original masonry walls installed in 1881. A system of fans was placed in the building to help dry out the interior masonry walls; the building remained undisturbed for almost a year during this dry-out. Once underway, interior reconstruction included a new steel-framed roof system, interior concrete floors, extensive millwork and all new finishes. Parts of the building would be returned to their original appearance, with remaining historical materials protected. Of course, the renovation also included installation of a fire suppression sprinkler system. Debris removal was tedious, and all pine flooring and beams not permanently damaged were carefully removed and salvaged. To keep as much original detail as possible, modern HVAC, electrical sprinkler and plumbing systems were installed in 130-year-old areas not designed for such systems, often requiting customization. H.M. Kern’s partnership with Mechworks was key. 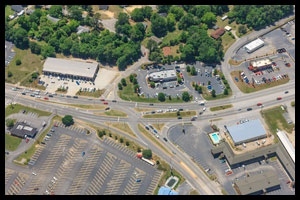 Among the project’s unique safety threats, the courthouse is located in the center of town, in the middle of a traffic circle, with continual traffic from two major highways bustling around it. From the start, H.M. Kern entered into an agreement with OSHA’s consultation services to ensure the safety of not only its workers but also the public, who became eager spectators as the project progressed. The result was no injuries, fatalities or citations.